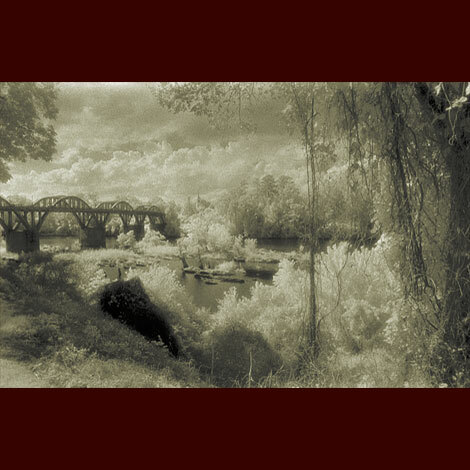 The historic Bibb Graves bridge spans the Coosa River and links both sides of the town of Wetumpka Alabama. A church with a magnificent steeple watches over the town and her river from the east bank. The tangled vines dangling from riverside trees are classic representations of deep south vegetation.